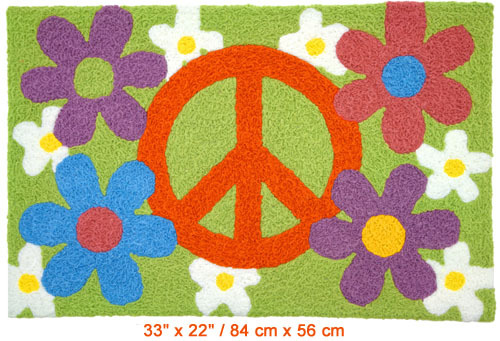 Both are indoor/outdoor and machine washable! 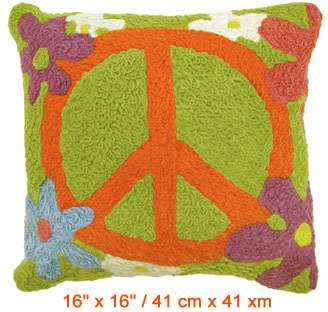 Besides having a great green background, this peace rug and peace pillow are also enviornmentally "green". While beautifully soft to the touch, each is made of 35% recycled post-consumer plastic. Rear side of the pillow is solid color.